Aims and Objectives: Estimation of changes in C-reactive protein (CRP) level and pregnancy outcome after nonsurgical supportive periodontal therapy in pregnant women affected with Periodontitis. Materials and Methods: A total of 100 pregnant females with periodontitis were assigned to treatment and control groups. All the details about previous and current pregnancies were obtained. Full-mouth periodontal examination was done at baseline, which included oral hygiene index simplified plaque index, gingival index, and clinical attachment loss. CRP level was also measured from collected blood sample initially at baseline and later after the delivery in both the group. Subjects in the treatment group received nonsurgical periodontal treatment during the second trimester of gestational period, and those in the control group did not receive any periodontal therapy during this period. Periodontal therapy included mechanical plaque control instructions and scaling and root planning. Outcome measures assessed were changes in CRP levels, gestational age, and birth weight of the infants. When delivery occurred at <37 weeks of gestation, it was considered as preterm birth (PTB), and low birth weight (LBW) was recorded when the infant weighed <2500 g. Results: In the treatment group, 32% of PTB and 68% of Normal term birth (NTB) delivery whereas in the control group 72% PTB and 28% of NTB were recorded. 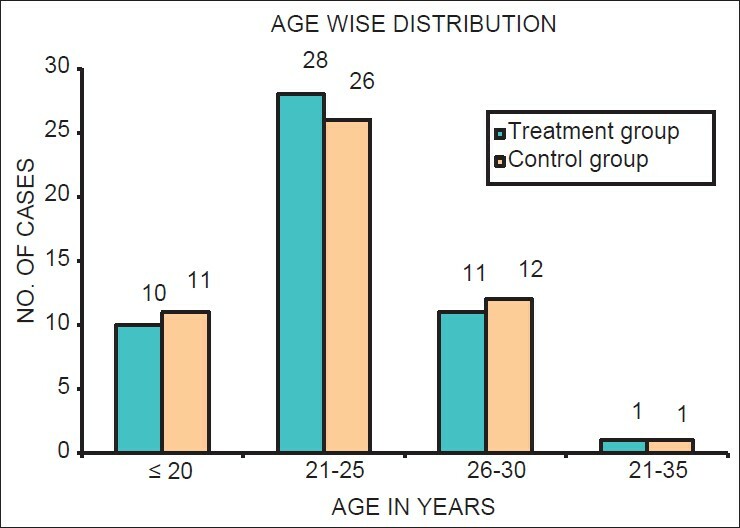 Infants measured with LBW were 36% in the treatment group and 52% in the control group. Mean birth weight was 2644.44 ± 450.53 g in the treatment group and 2447.82 ± 368.02 g in the control group (P < 0.05). Mean gestational age in the treatment group was 35.57 ± 2.40 weeks and 34.17 ± 2.92 weeks in the control group (P < 0.05). The treatment group showed statistically significant reduction in mean values of CRP level after delivery in comparison to baseline values (P < 0.05), whereas control group showed no significant reduction in values (P > 0.05). Conclusion: Nonsurgical supportive periodontal therapy may lower the risk of preterm delivery in females affected with periodontitis by reducing CRP level. Background: Nasal features are important in treatment planning for orthodontic treatment. Aims and Objectives: The purpose of the study was to assess the relationship between maxillary inclination and nasal morphology in males. Materials and Methods: Forty-five samples were selected for the study between the age group of 18 and 30 years. Selected individuals were subjected to cephalometric radiography. These lateral cephalograms were traced and divided into three groups on the basis of the angle given by Schwarz for rotation of the maxilla. The nasal features of these groups were evaluated and compared using mean, standard deviation, Student's t-test and analysis of variance. Results: The results suggest that there was statistically significant difference in nasal height, nasal bone length (NBL), nasal depth, nasolabial angle (NLA), nasal tip angle and upper lip inclination angle in different maxillary inclination group. Conclusion: The nasal height, NBL, NLA and nasal tip angle had a maximum value in retro inclination group. Background and Objectives: The most caries-susceptible period of a permanent first molar tooth is the eruption phase, during which the enamel is not fully matured and it is usually difficult for the child to clean the erupting tooth surfaces. Sealing occlusal pits and fissures with resin-based pit and fissure sealants is a proven method to prevent occlusal caries. The difference in the viscosity of the sealants differs in the penetration into pit and fissures and abrasive wear resistance property due to the addition of filler particles. The present study was conducted to evaluate and compare the retention of the resin-based filled (Helioseal F, Ivoclar Vivadent) and unfilled (Clinpro, 3M ESPE) pit and fissure sealants, which is important for their effectiveness. Materials and Methods: Fifty-six children between the age group of 6 and 9 years, with all four newly erupted permanent first molars were selected. Sealants were applied randomly using split mouth design technique on permanent first molars. Evaluation of sealant retention was performed at regular intervals over 12 months, using Simonsen's criteria at 2 nd , 4 th , 6 th , 8 th , 10 th and 12 th month. The results were subjected to statistical analysis. Results: At the end of our study period (12 th month), 53.57% showed complete retention, 37.50% showed partial retention, and 8.83% showed complete missing of resin-based filled (Helioseal F) pit and fissure sealant. And, 64.29% showed complete retention, 32.14% showed partial retention, and 3.57% showed complete missing of resin-based unfilled (Clinpro) pit and fissure sealant. 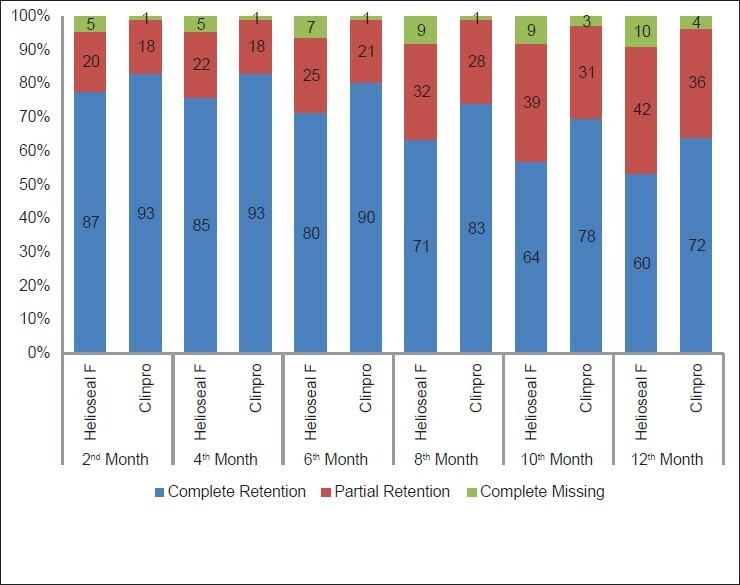 This difference in retention rates between filled and unfilled pit and fissure sealants was not statistically significant. Conclusion: The difference in retention rates between Helioseal F and Clinpro was not statistically significant, but Clinpro (unfilled) sealant showed slightly higher retention rates and clinically better performance than Helioseal F (filled). Context: The survival of atraumatic restorative treatment (ART) restorations would probably increase if near total elimination of cariogenic microorganisms could be done in the process of cavity cleaning before going ahead with the restoration. 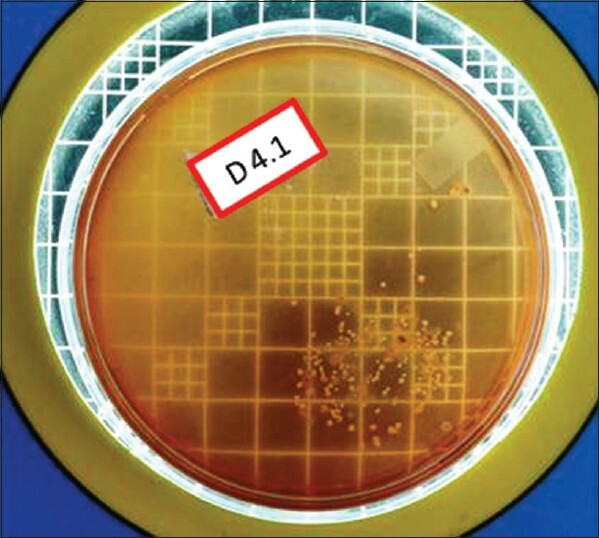 Thus, use of naturally occurring disinfecting agents for achieving this goal could herald a new beginning in the field of contemporary minimum intervention dentistry. Aims: To evaluate the efficacy of hand instruments in excavating dental caries and comparatively evaluate the roles of Aloe vera and propolis as potential cavity disinfecting agents after minimally invasive hand excavation of dental caries. Settings and Designs: Experimental, in vivo intergroup split mouth, randomized clinical trial. Subjects and Methods: The study included Group I (Control), Group II (A. vera) and Group III (propolis). Ten patients with three teeth each have occlusal/occlusoproximal lesions suitable for ART were selected. Dentinal samples were collected three times from each tooth viz., preexcavation, postexcavation and postdisinfection of the cavities. These dentinal samples were subjected to microbiological analyses for total viable count. Statistical Analysis Used: Repeated measures of analysis of variance (ANOVA) with Bonferroni post-hoc test and one-way ANOVA with Tukey post-hoc test. Results: In all the three groups, significant amount of bacteria were left behind after hand excavation. Group II and Group III, in which cavities were treated with A. vera and propolis extracts respectively, showed a significant reduction in the bacterial counts when compared to control the group. Conclusions: Hand excavation alone does not completely eliminate bacteria, which may predispose treated teeth to secondary caries. Both propolis and A. vera extracts can be used as potential natural disinfecting agents, thereby embracing the concept of phytotherapy in minimum intervention dentistry. Objectives: Oral leukoplakia is a nonscrappable whitish patch described as a potentially malignant disorder with high prevalence in India. Besides medicinal treatment, neodymium: Yttrium aluminum garnet (Nd: YAG) laser is also used for the management of oral leukoplakia. This study evaluated the role of Nd: YAG laser in the management of oral leukoplakia and also investigated postoperative complications along with long-term prognosis of the disease. Settings and Designs: The study is a prospective cohort study conducted for 24 months (June 2011 to May 2013) in Lucknow. Materials and Methods: The study comprised of 42 patients, both male and female of Indian origin and diagnosed with oral leukoplakic lesions. Patients with biopsy proven squamous cell carcinoma and medically compromised are excluded from the study. All patients has undergone ablation of lesion by pulsed Nd: YAG laser and were followed after 24 h, 72 h, 1-week and then successively for 1, 3, 6 months and then 1 st and 2 nd postoperative years. Results: Pain and slough were evaluated by Wicoxon rank test (P = 0.0001 statistically significant) which decreased from 24 h to 1-week and became nil in subsequent follow-ups. Similarly, McNemar's test (P = 0.001 statistically significant) was used for evaluation of burning sensation, paresthesia, infection and recurrences. Recurrence was noted in 2 patients but following the second application, there were no recurrences over the period of further follow-up. None of the patient suffered from an infection, paresthesia or anesthesia. Conclusion: Hence, Nd: YAG laser was found to be effective in ablating leukoplakia. It is convenient, economical with minimum complications and morbidities. Background: The purpose of this review was to assess the effectiveness of the buccal myomucosal flap in secondary repairs of cleft palate in 20 patients. Patients and Methods: Totally, 20 patients, who underwent secondary palatoplasty between 5 years and 8 years in which a buccal myomucosal flap was used, were reviewed retrospectively. All patients had undergone at least one previous attempted repair at other institutions. 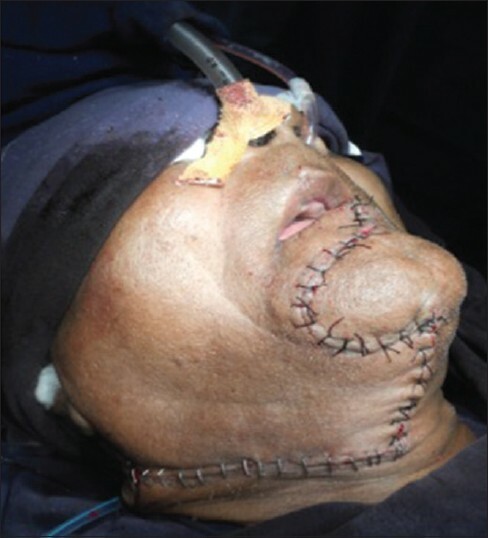 Indications for the secondary repair included velopharyngeal incompetence and/or oronasal fistula. Patients were evaluated preoperatively for oronasal fistula status, velopharyngeal competence, nasal resonance, speech quality, and nasal escape. Results: The buccal myomucosal flap was used in all 20 patients, and there was marked increase in the quality of speech as well as nasal regurgitation decreased. In patients with levator dysfunction due to poor primary surgery and glottal speech the results were inconclusive Conclusion: Palate re-repair combined with a buccal myomucosal flap, occasionally in conjunction with other techniques, is an effective method for correcting failed cleft palate repairs. Minimum donor site morbidity and complication makes the buccal flap a useful armamentarium of a cleft surgeon. The purpose of this paper is to explain the versatility offered by the use of arch wires with boot loops in retraction mechanics while taking direct anchorage from mini-screws. Materials and Methods: The materials include the mini screws placed at the appropriate location and retraction arches made of 0.019 X 0.025 SS with boot loops placed distal to the lateral incisors. Mini screw provides a stable anchorage for enmasse retraction of the anterior teeth with the help of a boot loop using sliding and/or loop mechanics. Results: The arch wires with boot loops have a definite advantage over the soldered/ crimpable hooks because of the versatility it offers during the process of retraction. Conclusion: An innovative approach combining the advantages of absolute anchorage using mini implants and a retraction arch with boot loop is presented here. Context: Desensitizers are used to reduce dentin hypersensitivity. They affect the surface texture of prepared dentin and may alter the retention of fixed restorations. Aims: The aim was to evaluate the effect of dentin desensitizers on the retention of complete cast metal crowns luted with glass ionomer cement. Subjects and Methods: Fifty freshly extracted human premolars were subjected to standardized tooth preparation (20° total convergence, 4 mm axial height) with a computer numerically controlled machine. Individual cast metal crowns were fabricated from a base metal alloy. Dentin desensitizers included none (control), a glutaraldehyde (GLU) based primer (Gluma desensitizer), casein phosphopeptide (CPP)-amorphous calcium phosphate (ACP) (GC Mousse), erbium, chromium: YSGG laser (Waterlase MD Turbo, Biolase) and Pro-Argin (Colgate Sensitive Pro-Relief desensitizing polishing paste). After desensitization, crowns were luted with glass ionomer cement and kept for 48 h at 37°C in 100% relative humidity. The samples were tested using a universal testing machine by applying a load at a crosshead speed of 0.5 mm/min. Statistical Analysis Used: Statistical analysis included One-way ANOVA, followed by the Scheffe post-hoc test with P < 0.05. Results: All dentin desensitizers showed significantly different values: Pro-Argin (4.10 Megapascals [Mpa]) < CPP-ACP (4.01 mpa) < GLU based primer (3.87 Mpa) < Virgin dentin (3.65 Mpa) < LASER (3.37 Mpa). Conclusions : On comparing the effect of prepared virgin dentin, GLU based primer, CPP-ACP, LASER and Pro-Argin on the retention of complete cast metal crowns luted with glass ionomer cement on prepared teeth, it can be concluded that Pro-Argin and CPP-ACP showed the best retention in this in vitro study. Introduction: Comparison between stainless steel staples and silk sutures for primary closure of skin in patients undergoing neck dissection, in context of rapid application, approximation of the skin edges, economy and aesthetics of the resultant scar. Aim: (1) To compare surgical stainless steel staples and silk sutures for primary wound closure, with respect to presence/absence of wound infection and dehiscence (2) To compare the resultant scar following the two different methods of the closure at 3 rd month postoperatively with the help of visual analog scale and analyze the result statistically Design: This study was designed to compare skin closure using staples and silk sutures in patients undergoing neck dissection, using both methods in one-half of the same wound; thus each wound affording its own control. 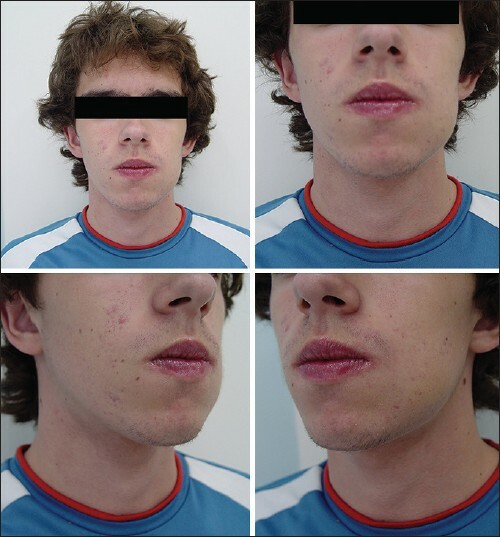 Materials and Methods: The study was conducted on patients requiring collar line incision (high submandibular incision) with or without a cephalad extension of midline lower lip split incision for surgical access, who presented to the Department of Oral and Maxillo-Facial Surgery. (1) Sample size: 10 (2) Study design: Prospective Comparative study (3) Study duration: One and half years (4) Surgical stainless steel staples: Proximate Plus MD 35 W, Ethicon Endo Surgery (5) Sutures: 3-0 Ethiprime NW 5003, Non-Absorbable Surgical Suture, Mersilk-90 cm, Ethicon, (16 mm 3/8 circle cutting needle). Conclusion: It wass concluded that there is no significant difference between the scars observed in the regions of incision which underwent primary closure by two different methods, that is surgical stainless steel staples and 3-0 Mersilk Sutures. Aim: To analyze the ease and surgical outcome of using sutureless transconjunctival approach for repair of infra-orbital fractures. Design: Prospective clinical case series. Materials and Methods: Totally 5 patients with infra-orbital rim or orbital floor fractures were selected and the fractures were accessed through a pre-septal transconjunctival incision. After reduction and fixation, the conjunctiva was just re-approximated and re-draped into position. Incidence of post-operative complications such as diplopia, lid retraction, eyelid dystopia, foreign body granuloma and poor conjunctival healing was assessed at intervals of 1 week, 15 days and a month post-operatively. Results: No complications were observed in any of the 5 patients. Healing was satisfactory in all patients. 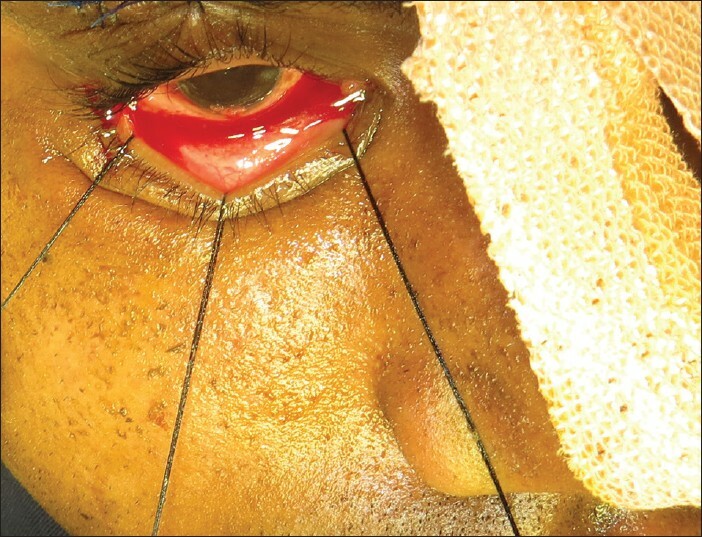 Conclusion: The sutureless technique appears to be a time saving and technically simpler viable alternative to multilayered suturing in orbital trauma with minimal post-operative complications. Context: Tobacco abuse is a well-known risk factor for potentially malignant disorders as well as oral squamous cell carcinoma (SCC). Factors that influence tobacco-exposed individuals developing a malignancy may include a combination of total tobacco exposure and genetic susceptibility. Aim: This study was undertaken to determine the prevalence of the glutathione S-transferase M1 (GSTM1) null polymorphism in oral leukoplakia and oral SCC patients in South Indian population. Settings and Design: This case-control study was conducted in hospital setting on South Indian population. Materials and Methods: Totally, 280 subjects with a history of tobacco use, oral leukoplakia, oral SCC were included in this study. Three milliliter of blood was collected and transported under cold cycle and taken for evaluation of GSTM1 null polymorphism using Multiplex Polymerase Chain Reaction. Results and Discussion: On comparing the prevalence of GSTM1 null polymorphism among the group with subjects with habits and no oral lesions, oral leukoplakia and oral SCC, it was observed that there was a statistically significant association between GSTM1 null polymorphism and the different groups (P < 0.01). Conclusion: The lack of GSTM1 activity would make the oral tissues more susceptible to action of tobacco carcinogens and to the development of a high-grade level of dysplasia in oral leukoplakia and thereby increases the susceptibility of lesion to undergo malignant changes. Purpose: The aim of the study was to evaluate salivary flow rate, pH, buffering capacity, calcium, total protein content and total antioxidant capacity in relation to dental caries, age and gender. Materials and Methods: The study population consisted of 120 healthy children aged 7-15 years that was further divided into two groups: 7-10 years and 11-15 years. In this 60 children with DMFS/dfs = 0 and 60 children with DMFS/dfs ≥5 were included. The subjects were divided into two groups; Group A: Children with DMFS/dfs = 0 (caries-free) Group B: Children with DMFS/dfs ≥5 (caries active). Unstimulated saliva samples were collected from all groups. Flow rates were determined, and samples analyzed for pH, buffer capacity, calcium, total protein and total antioxidant status. Salivary antioxidant activity is measured with spectrophotometer by an adaptation of 2,2'-azino-di-(3-ethylbenzthiazoline-6-sulphonate) assays. 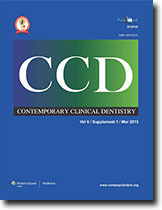 Results: The mean difference of the two groups; caries-free and caries active were proved to be statistically significant (P < 0.05) for salivary calcium, total protein and total antioxidant level for both the sexes in the age group 7-10 years and for the age 11-15 years the mean difference of the two groups were proved to be statistically significant (P < 0.05) for salivary calcium level for both the sexes. Salivary total protein and total antioxidant level were proved to be statistically significant for male children only. Conclusions: In general, total protein and total antioxidants in saliva were increased with caries activity. Calcium content of saliva was found to be more in caries-free group and increased with age. Introduction: Fluoride dentifrices containing calcium carbonate have advantages such as control of dental plaque and progression of dental caries, also contributing to oral hygiene, represent most dentifrices marketed in Brazil. Aim: To evaluate the physicochemical properties of seven fluoride dentifrices containing calcium carbonate in relation to hydrogen potential (pH), loss on drying and calcium concentration. Materials and Methods: Data collection was performed using the potentiometric method for pH ranges, gravimetric analysis for loss on drying and atomic absorption spectrometry for the concentration of calcium ions. All tests were performed in triplicate and the analysis was performed entirely at random according to one-way analysis of variance at 5% significance level. Results: The pH values were alkaline and ranged from 8.67 (Oral-B 123® ) to 10.03 (Colgate Mαxima Proteηγo Anticαries® ). The results of loss on drying ranged from 33.81% (Oral-B 123® ) to 61.13% (Close Up® ), with significant differences between brands tested. In relation to the calcium content, the highest and lowest concentrations were found in dentifrices Even® (155.55 g/kg) and Colgate Ultra Branco® (129 g/kg), respectively, with significant difference (P < 0.05). Conclusion: Fluoride dentifrices analyzed showed alkaline pH and high levels of loss on drying and calcium concentration. However, these physicochemical characteristics differed according to the different brands tested. Context: The scope of Bitemarks in forensic dentistry is widening as they help the forensic expert in identifying the perpetuator in medicolegal cases. The greatest challenge in Bitemarks analysis is the time-dependent changes produced in Bitemark patterns on various substrates at the scene of the crime. Aims: To analyze the time-dependent changes in Bitemarks on Styrofoam sheets. Settings and Design: Single centered prospective study. Materials and Methods: Twenty-five subjects were randomly chosen, and dental casts prepared. Then test bites were registered on Styrofoam sheets, overlays prepared from these test bites on subsequent days (day 1, 2, 3, 4) and checked for matching accuracy. Statistical Analysis Used: The data were analyzed using Kruskal-Wallis ANOVA to compare the overlays from dental stone cast with test bites on Styrofoam sheets on subsequent days. Results: The P value was found to be 1 which is statistically not significant implying that there were no significant time-dependent changes in the pattern of Bitemarks. Conclusions: There were no time-dependent changes in the pattern of Bitemarks on Styrofoam sheets hence they serve as better materials than Bitemarks on human skin or food substrates obtained from the scene of the crime. Aim: To evaluate the remineralizing potential of child formula dentifrices on primary teeth using an in vitro 7 days pH cycling model. 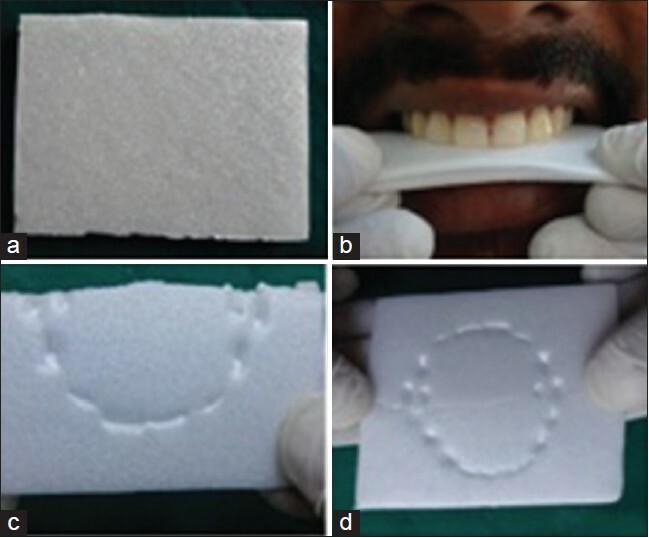 Materials and Methods: Twenty-one primary teeth were placed in demineralizing solution for 96 h to produce artificial carious lesions; then cut longitudinally into 100-150 μm thick sections and randomly assigned to three groups. Sections in Group A were treated with dentifrice containing 458 ppm monofluorophosphate (MFP) and sections in Group B with 500 ppm sodium fluoride (NaF). Group C sections were treated with a nonfluoridated dentifrice. Results: Group A (458 ppm MFP) and Group B (500 ppm NaF) showed significant decrease in lesion depth, whereas Group C (non F) showed a significant increase in depth (P ≤ 0.05, paired t-test). Conclusion: Though dentifrices containing 458 ppm MFP and 500 ppm NaF demonstrated remineralization of carious lesions, it was not complete. Therefore, it is also important to emphasize on other preventive methods in the prevention and/or reversal of carious lesions. Aim: The aim of this study is to compare the corono-apical sealing ability of three single-cone obturation systems using a glucose leakage model. Materials and Methods: A total of 90 freshly extracted human maxillary single-rooted teeth was selected, and their crowns were cut. The root canal of each sample was instrumented using a rotary crown down technique and then divided into four experimental (n = 20 each) and two control groups (n = 5 each). Samples in the experimental groups were filled as follows: Group 1, cold lateral condensation using gutta-percha/AH Plus; group 2, single-cone C-points/smart-paste bio-sealer; group 3, single-cone bio-ceramic (BC) impregnated gutta-percha/endo-sequence BC sealer; group 4, single-cone Resilon/RealSeal SE after 7 days, the sealing ability of root canal fillings was tested at different time intervals using glucose leakage model. Glucose leakage values were measured using a spectrophotometer and statistically analyzed. Results: The four experimental groups presented significantly different glucose leakage values at all test periods (P < 0.05). At the end of the observation period, the cumulative glucose leakage values of groups 2 and 3 were significantly lower than those of groups 1 and 4 (P < 0.05). 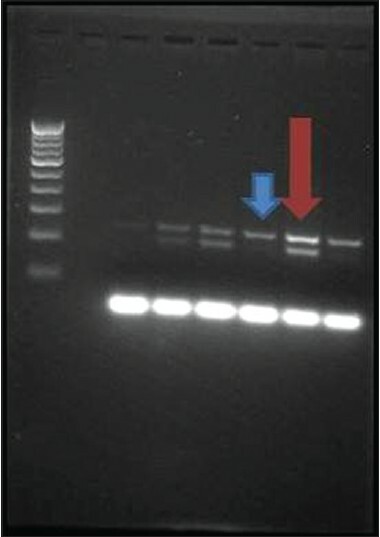 Conclusion: C-points/smart-paste Bio and BC impregnated gutta-percha/endo-sequence BC sealer combinations provided the superior sealing ability over the lateral condensation technique. Introduction: Elders in old age homes are mainly those who have been abandoned by their family and have one or more physical or mental disabilities. It is a major challenge for the dental professional to plan oral health strategy for this group of patients. Aim of the Study: Aim of the present study is to observe and determine the acceptance of new dental prosthesis among the elderly residing as inmates of 3 old age homes in Mangalore City. Materials and Methods: This cross-sectional study was conducted using a survey proforma. Information regarding their experience with the new denture, 1-month, 3 months and 6 months after denture insertion was gathered. Statistical analysis of the data was done using the Chi-square test with the P < 0.05 considered significant. Results: One hundred and eighty-three residents out of a total of 400 residents in 3 old age homes were denture wearers. Among them, 101 (55.2%) were females, and 82 (44.8%) were males. Dental prosthesis whether worn regularly, discomfort, retention, cleansing of denture during a period of 1-month, 3 months and 6 months was found to be significant satisfaction with the prosthesis, denture adhesives used, food accumulation during a period of 1-month, 3 months and 6 months was found to be nonsignificant. Conclusion: The emotional makeup of the patient must be taken into consideration during the entire procedure. We must understand that the success of the prosthesis depends mainly on the patient's confidence in the dentist rather than the quality of the prosthesis. Orofacial granulomatosis (OFG) is a rare disorder affecting the orofacial region, and clinically characterized by diffuse, nontender, soft to firm, painless swelling restricted to one or both lips and intraoral sites such as tongue, gingiva and buccal mucosa. Histologically, OFG is characterized by noncaseating granulomatous inflammation. The early diagnosis of OFG is essential for the better prognosis of the lesion. Delay in diagnosis of OFG results into formation of indurated and permanent swelling of the lip that not only compromises esthetic appearance but also causes impairment in function such as speaking and eating. Early diagnosis of OFG is challenging to the health care professionals due to clinical and histological resemblance to other chronic granulomatous disorders. Thus, dentists may act as a first person to diagnose the lesion and play an important role in the multidisciplinary treatment of granulomatous disorders. Here, we present a case of OFG affecting lips and gingiva in a 15-year-old patient without any identifiable systemic or local causes. Gingival hyperpigmentation is a major esthetic concern for many people. 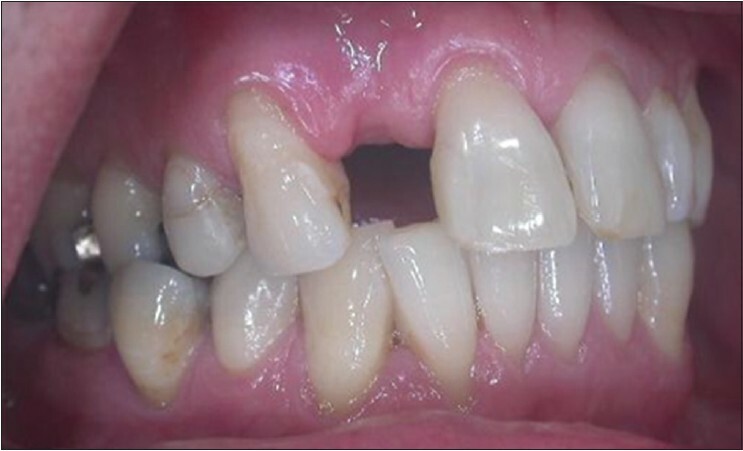 Although it is not a medical problem, many people complain of dark gums as unesthetic. Gingival depigmentation is a periodontal plastic surgical procedure, whereby the hyperpigmentation is removed or reduced by various techniques. For depigmentation of gingival, different treatment modalities have been reported, such as scalpel, cryosurgery, electrosurgery, lasers, etc., this article compares the management of three cases with scalpel and cryosurgery and also highlights the relevance of cryosurgery. Gorlin-Goltz syndrome or basal cell nevus syndrome is a comparatively rare syndrome characterized by basal cell nevi, odontogenic keratocysts, and skeletal anomalies. Diagnosis is based on the major and minor clinical and radiographic criteria. Dentist plays a major role in the diagnosis of this disease due to the oral and maxillofacial manifestations of the syndrome. In some cases, jaw cysts are diagnosed by routine radiographs advised by the dentists. Odontogenic keratocysts in such syndromic patients will be multiple and extensive and in some cases results in cortical expansion and facial disfigurement. Thorough clinical examination and investigations prompt an early confirmation of the syndrome, which is very essential to avoid morbidity associated with the syndrome. Here, we report a case of multiple odontogenic cysts in a 16-year-old patient which later was diagnosed as a case of Gorlin Goltz syndrome. Odontogenic cysts are considered as nonneoplasic benign lesions. Among the cysts, keratocyst odontogenic tumor (KCOT) is an intra-osseous tumor characterized by parakeratinized stratified squamous epithelium and a potential for aggressive, infiltrative behavior, and for the possibility to develop carcinomas in the lesion wall. Thus, the aim of this study was to describe a clinical case of KCOT in a young patient and discuss the treatment alternatives to solve this case. 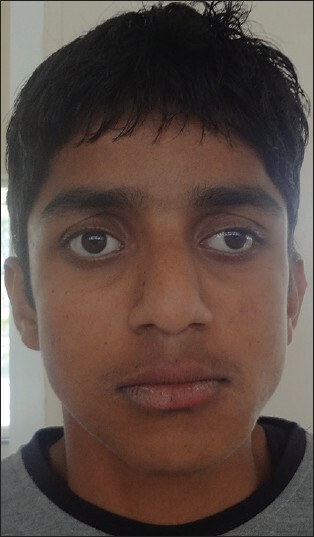 A 15-year-old male was referred for treatment of a giant lesion in his left side of the mandible. After the biopsy, a diagnostic of KCOT was made, and the following procedures were planned for KCOT treatment. 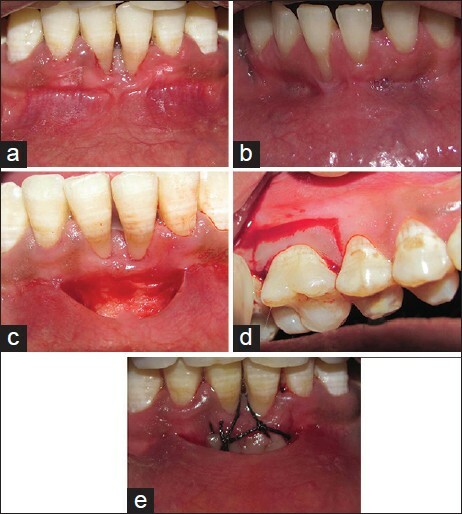 Marsupialization was performed for lesion decompression and consequent lesion size reduction. Afterward, enucleation for complete KCOT removal was performed followed by third mandibular molar extraction. After 5 years, no signs of recurrence were observed. The treatment proposed was efficient in removing the KCOT with minimal surgical morbidity and optimal healing process, and the first and second mandibular molars were preserved with pulp vitality. In conclusion, this treatment protocol was an effective and conservative approach for the management of the KCOT, enabling the reduction of the initial lesion, the preservation of anatomical structures and teeth, allowing quicker return to function. No signs of recurrence after 5 years were observed. Mandibular resection following surgical treatment for neoplastic lesions of the oral cavity leads to numerous complications including altered mandibular movements, disfigurement, difficult in swallowing, impaired speech and articulation, and deviation of the mandible towards the resected site. Various prosthetic methods are employed to reduce or minimize mandibular deviation and improve and restore the lost functions and esthetic, like maxillomandibular fixation, implant supported prosthesis, removable mandibular guide flange prosthesis, and palatal based guidance restoration. This clinical report describes the rehabilitation of a patient following segmental mandibulectomy using palatal ramp prosthesis. Prosthetic dentistry involves the replacement of missing and contiguous tissues with artificial substitutes to restore and maintain the oral functions, appearance, and health of the patient. The treatment of edentulous areas with ridge defects poses a challenging task for the dentist. 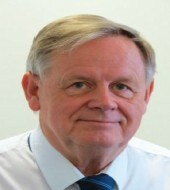 Management of such cases involves a wide range of treatment options comprising mainly of surgical interventions and non surgical techniques such as use of removable, fixed or fixed- removable partial dentures. 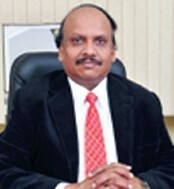 But each treatment plan undertaken should be customized according to patient needs. A variety of factors such as quality and quantity of existing contiguous hard and soft tissues, systemic condition and economic status of the patient play an important role in treatment planning, clinical outcome and prognosis. 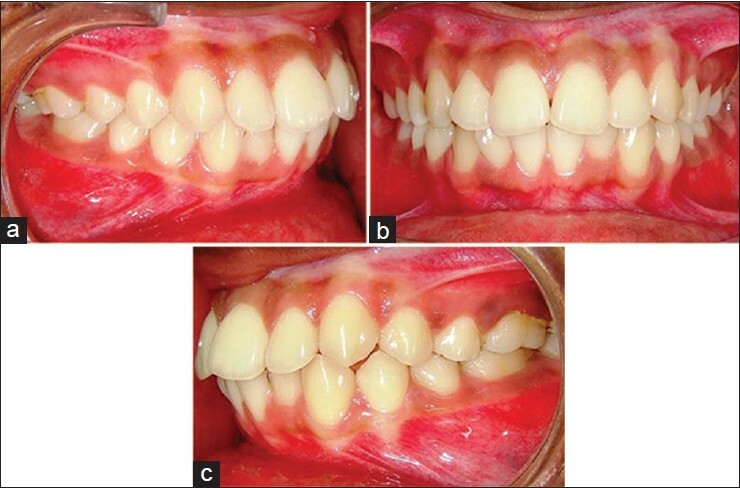 This case report presents the restoration of a Seibert's Class III ridge defect by an economical modification of Andrews Bridge in a 32 Year old patient. Malignancy is characterized by anaplasia, invasiveness, and metastasis. Primary oral squamous cell carcinoma is the most prevalent oral malignancy, but secondary malignancy from distant sites have also been reported. Hepatocellular carcinoma (HCC) is a common primary liver malignancy that frequently metastasizes during the course of the disease, but < 1% of cases show oral involvement. Such secondary neoplasms do not have any pathognomonic clinical or radiologic findings, and therefore they pose a diagnostic challenge. Hence, in the differential diagnosis of malignant tumors of the oral cavity, it is essential to consider the occurrence of both primary as well as metastatic tumors despite the low incidence of the latter. 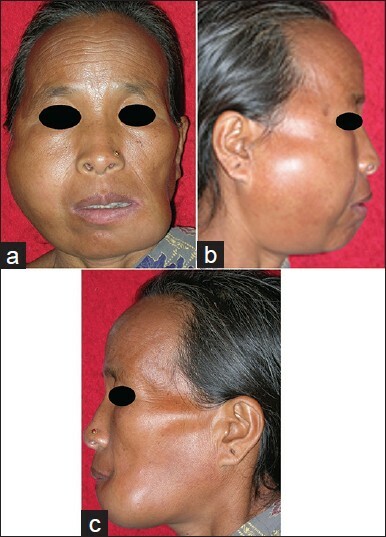 A rare case of HCC metastasizing to both the maxilla and mandible is presented, in which the patient succumbed to the disease as a result of the delay in diagnosis. One of the challenges in restoring anterior space with implant restoration is maintaining the natural looking of peri-implant area. 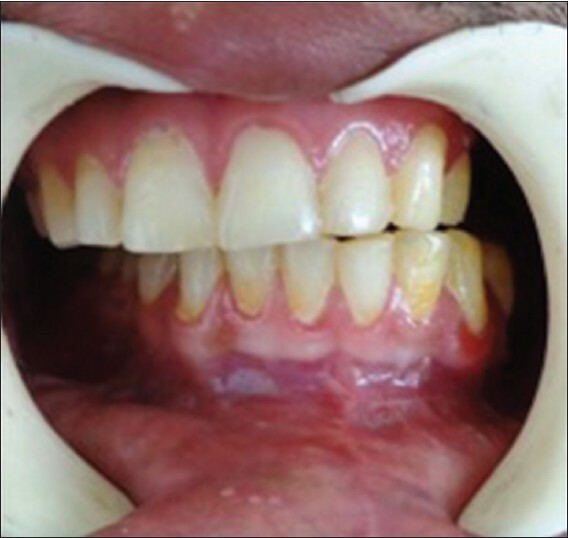 This case report presents a clinical procedure to create the soft tissue emergence profile for anterior maxillary teeth. A 49-year-old male presented with missing right maxillary lateral incisor. A provisional restoration was inserted 1 week after implant placement. Area of the provisional restoration related to the gingival tissue (transmucosal area) was adjusted to create an optimum emergence profile. Two months later, an indirect method was used to accurately transfer the soft peri-implant tissues to the master cast. This clinical technique minimizes surgical procedure and avoids the possibility of soft tissue collapsing that may occur during the impression procedure. The indications to increase the width of keratinized gingiva have not been proven beyond doubt; however it becomes indispensable in certain clinical situations. Inspite of frequently encountered complications, palate is considered most preferred area to harvest the free gingival graft (FGG). This procedure aimed at investigating the potential of buccal marginal gingiva as a donor to augment keratinized gingiva. To the best of our knowledge, no such cases have been documented in the literature. FGG harvested from maxillary buccal marginal gingiva was used to augment gingiva in the mandibular anterior region for two patients. This not only improved plaque control but also resulted in acceptable esthetic results over 3 years. Furthermore, gingiva at donor sites gained its normal form and was in harmony with the neighboring teeth. It may be concluded that buccal marginal gingiva may provide a predictable substitute to other donor tissues to augment gingiva. Advancement of mandible rather than tooth movement is an ideal treatment for the correction of Class II malocclusion resulting from mandibular retrusion. In growing patients, forward repositioning of mandible by mandibular repositioning appliances is considered as a treatment of choice. Correction of mandibular retrusion by the conventional mandibular protraction appliances (MPAs) is mainly due to dento-alveolar changes and by altering the design of original MPAs, these limitations were minimized. The modified design enhanced the mandibular growth and contributed for the better skeletal correction of Class II malocclusion as compared to the conventional MPAs. 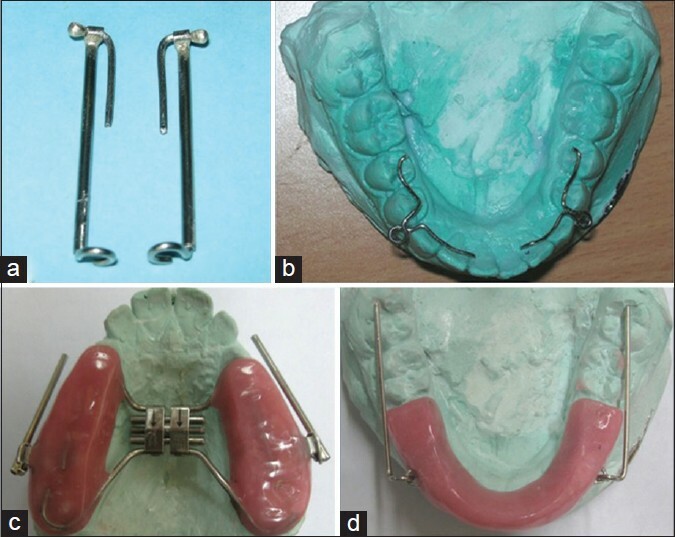 This article highlights the design and fabrication of a splinted MPA for the correction of Class II malocclusion due to mandibular retrusion and also describes a patient managed by this appliance.